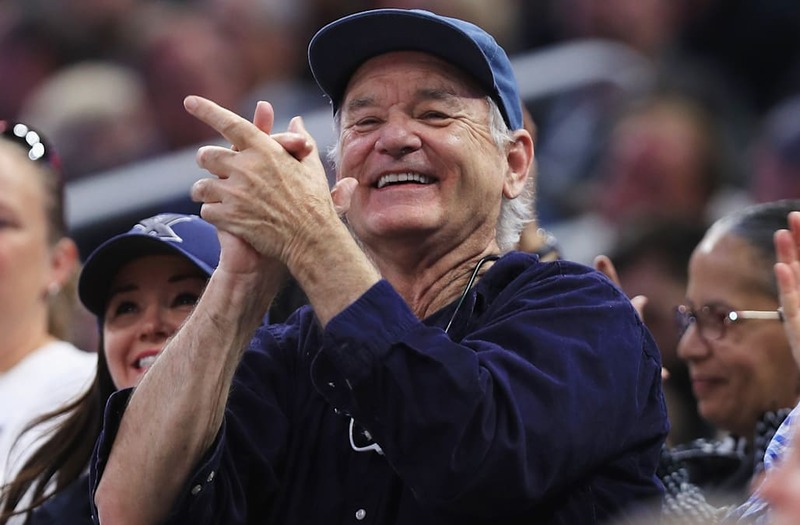 Bill Murray is a proud dad during NCAA March Madness and it's everything -- see the pics! Bill Murray is a proud basketball papa! The Grand Budapest Hotel star's adult son, Luke, coaches the Xavier Musketeers men's basketball team, who moved on to the second round of the NCAA Tournament on Thursday with a 76-65 upset over the sixth seeded Maralynd Terrapins. And while they were notching the big win, Murray was right there in the stands, passionately cheering on the collegiate squad. WATCH: Julia Louis-Dreyfus Celebrates Her Son Charlie's First NCAA Tournament Win -- See the Incredibly Sweet Moment! And of course, the 66-year-old actor's reaction when the final buzzer sounded had social media pretty much falling all over itself. Thanks for turning out for the team, Bill! Next up, the Musketeers will take on Florida State University on Saturday for a big second round match up. Of course, the only celebrity who may give Murray a run for his money for team spirit is Julia Louis-Dreyfus, who watched her son, Charlie Hall, play for her alma mater as the team notched a nailbiter victory in it's first March Madness appearance in NCAA tourney history.